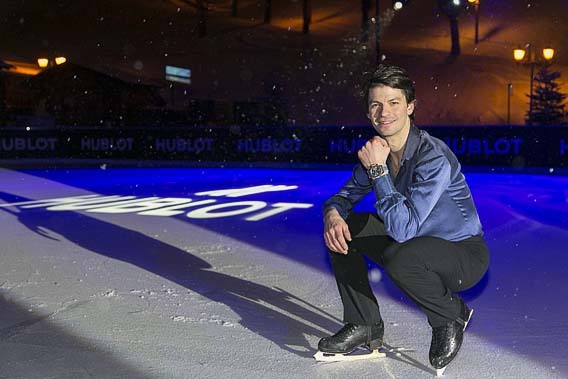 Hublot commemorated its ongoing sponsorship of the La Grande Odyssee Savoie Mont Blanc sled dog race with a new watch and an ice show performed by Swiss Olympic Silver Medalist Stephane Lambiel. 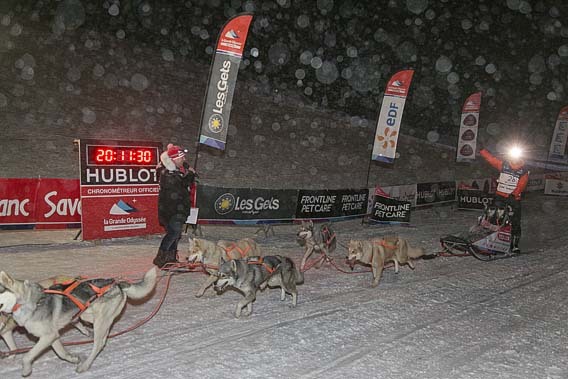 The race is run in 10 stages through 1000 Km of the Savoie region of France. 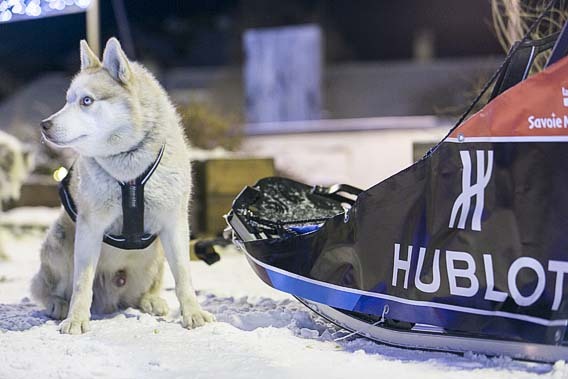 It is beautiful but technically difficult, pushing the mushers and their dogs to their limits. 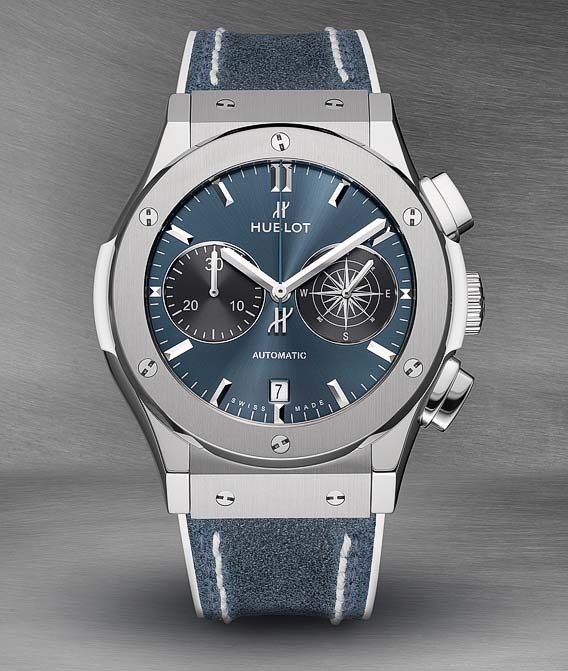 As it is for the so--uhhh-- FUTBAL World Cup, Hublot is The Odyssee's official timekeeper. After the event, Stephane Lambiel presented a figure skating exhibition. 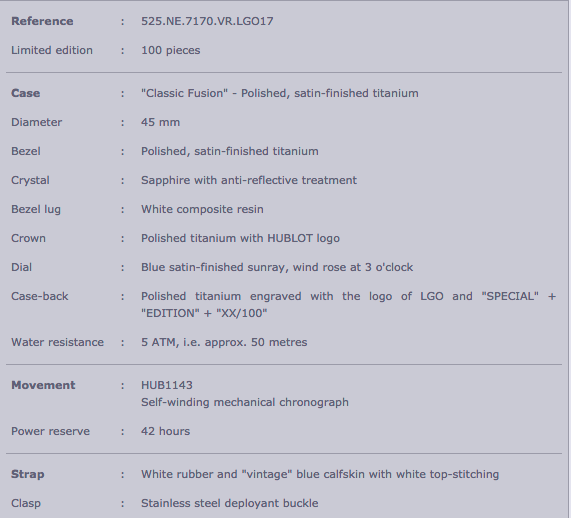 Upon its completion, the Classic Fusion "La Grande Odyssee" was revealed by Benoit Lecigne, Hublot's Brand Director for the region who declared that "Hublot is proud to partner with La Grande Odyssee Savoie Mont Blanc, with which it shares values such as respect for tradition, a love of nature, and a quest for excellence and for the limits of human endeavor." 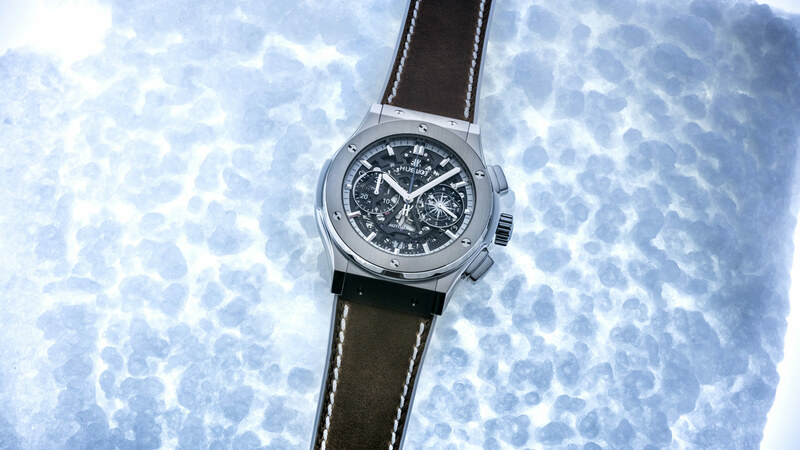 The blue dial and titanium case evokes the white snow against a blue sky. 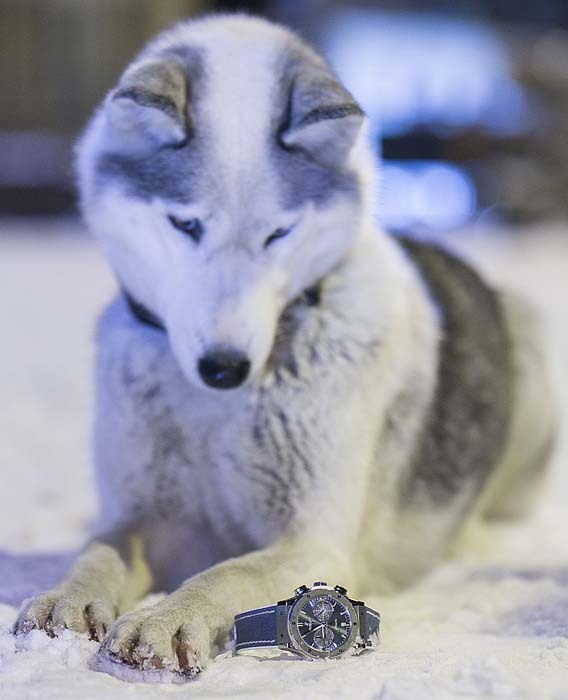 The satin finish of the dial echoes the sun's reflection off the snow and also matches the eyes of many of the dogs. The seconds subdial located at 3 o'clock has a "compass rose" design symbolizing the spirit of adventure shared by the Odyssee and Hublot.